This USB-C to DVI cable lets you connect your Thunderbolt 3 or USB Type-C enabled device to a DVI computer monitor with just one cable, providing you with a convenient, clutter-free solution. The USB-C to DVI adapter cable lets you harness the video capabilities that are built into your USB-C connection, to deliver astonishing picture quality at resolutions up to 1920 x 1200. Plus, the USB-C video cable is backward compatible with 1080p displays, which makes it a great accessory for home, office or other work environments. 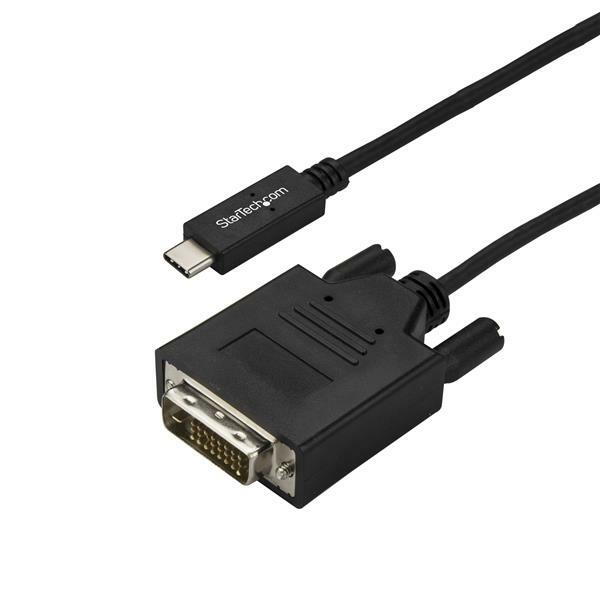 At 9.8 ft. (3 m) in length, this computer monitor cable delivers a compact connection that eliminates excess adapters and cabling, ensuring a tidy, professional installation. For shorter installations, we also offer a 3.3 ft. (1 m) (CDP2DVIMM1MB) and a 6.6 ft. (2 m) (CDP2DVIMM2MB) USB-C to DVI cable, enabling you to choose the right cable length for your custom installation needs. The reversible USB-C connector offers an easy and convenient connection. 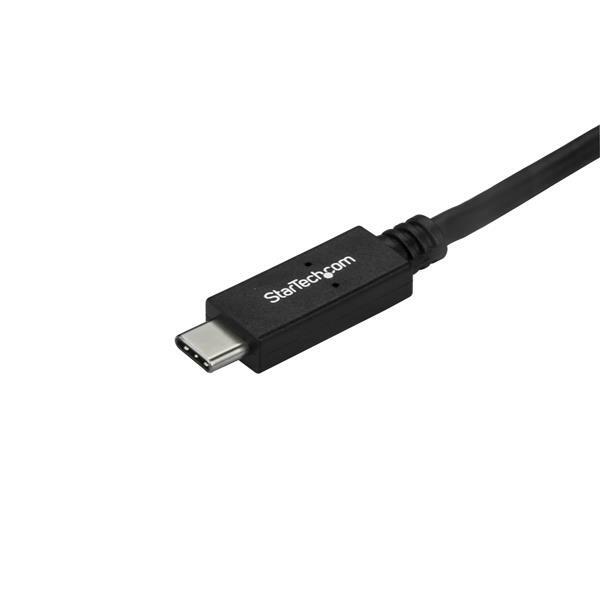 To ensure easy operation and installation, this USB-C to DVI cable works with both Windows and Mac computers and supports easy plug-and-play installation. CDP2DVI3MBNL is backed by a 3-year StarTech.com warranty and free lifetime technical support. Note: Your USB-C port must support DisplayPort over USB-C (DP Alt Mode) in order to work with this adapter. Note Your USB-C port must support DisplayPort over USB-C (DP Alt mode) in order to work with this adapter. System and Cable Requirements Some dual-link DVI monitors manufactured prior to 2014 may have limited resolutions support when used with this adapter. This adapter is not compatible for use with the Apple Cinema Display.